Everyone is always so excited to share their best moments as family caregivers, but you should also know caregiving is hard work. While no one ever tells you these parts of being a caregiver, knowing what to expect allows you to make plans for the more difficult aspects of your new role. People sometimes think caregiving is the same regardless of the ages that are involved. However, senior care is very different from what you might have done as a teacher or parent. Older adults have challenges such as hearing loss and incontinence that affect how you handle their care. While you’ll eventually get the hang of it, you can expect a few learning curves. In the meantime, research everything you can about your loved one’s health condition to identify strategies that help. When a toddler has a tantrum or an accident in the grocery store, you can expect to get a few commiserating looks from other parents who understand. When a senior has an outburst in public, you may receive a negative response. People do not always understand why a senior with Parkinson’s might spill his or her food or someone with dementia might lose his or her temper. Be prepared to politely defend your loved one, and consider bringing another caregiver along to minimize issues that arise in public. Families who need help caring for a senior loved one can turn to Home Care Assistance, a leading provider of Rhode Island home care. Services available in our customizable care plans include meal prep, mental and social stimulation, assistance with personal hygiene tasks, and much more. Caregiving takes up hours in your day that you once shared with other people in your life. You may also find that you experience disagreements with the people you love regarding your loved one’s care. Take the time to assess your relationships as time goes by. If necessary, you may need to take a short break to plan a date with your spouse to reconnect. Alternatively, you may need a family counselor to help you and your siblings reach an agreement about your parent’s care. Invest in your personal relationships so they are still on good terms when you need support. Now that you are a caregiver, you may need to make decisions when your loved one is not able to. Talk to your loved one about legal documents you may need as a caregiver, and make sure they are completed. Being able to show you have power of attorney over your loved one’s health or financial decisions allows you to protect his or her needs and wishes. With so much focus on helping your loved one feel better, you may forget about your own health needs. 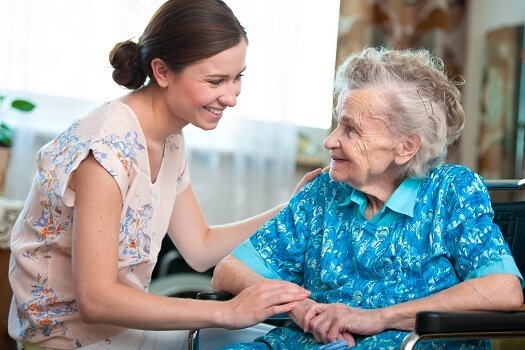 Arrange for respite care so you can attend appointments such as health checkups. If something hurts, get it checked out before it becomes a hindrance to your role. Caregivers sometimes step into their role because they believe no one else can do it. While you may be the best person for the job, you must also remember other people are available to help you with tasks that are overwhelming. Let your family know if you need a day off, or arrange for a professional caregiver to take over tasks when you are running short on time. Family caregivers need to care for their own wellbeing. If you are caring for an aging loved one and are feeling overwhelmed, consider hiring a professional caregiver to provide respite care. Rhode Island families who want to avoid burnout can turn to Home Care Assistance. One of our professional caregivers can assist your loved one at home while you take a nap, go to work, run errands, or go on vacation. To create a customized in-home care plan for your loved one, call us at (401) 284-0979.